If you are running out of space on your disk partition, a high quality partition manager is what you need. 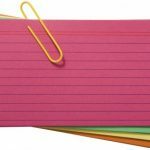 A good disk partition software can keep things simple, even if the changes applied to your computer’s partition are advanced. Macrorit Disk Partition Expert is an easy solution, designed to help you to tackle low disk space issues on your system partition. While there are other disk partition programs available that also allow you to address any problems you may experience with your disk partition, Macrorit Disk Partition Expert stands out for being a straightforward and comprehensive solution that is ideal for users who prefer simplicity. 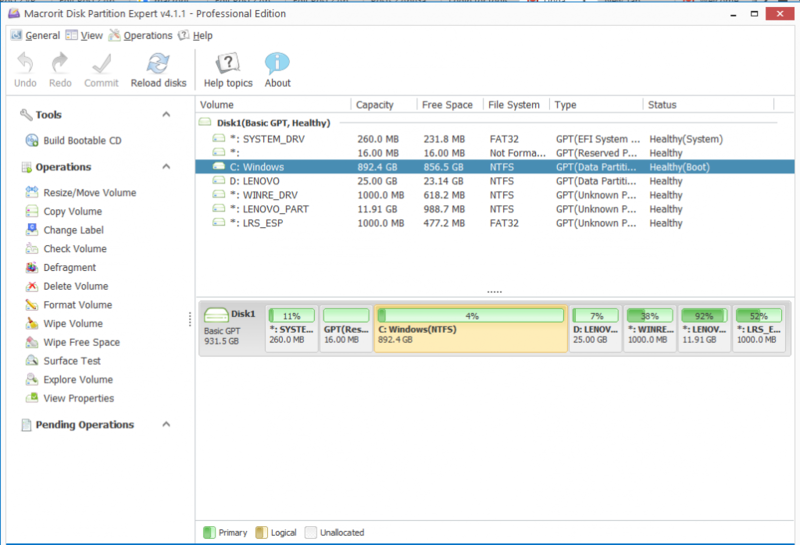 Why do you need a disk partition tool like Macrorit Disk Partition Expert? Advanced computer users are likely to create disk partitions to manage information separately on their systems. While Windows includes a disk management option, this will require unallocated space. In order to be able to create and resize the disk partitions, you would have to delete the current ones. Before doing this, you need to back up the data that is on these drive partitions, which can be time consuming. Furthermore, even after backing up the data, there is no guarantee that it will be restored in its entirety. 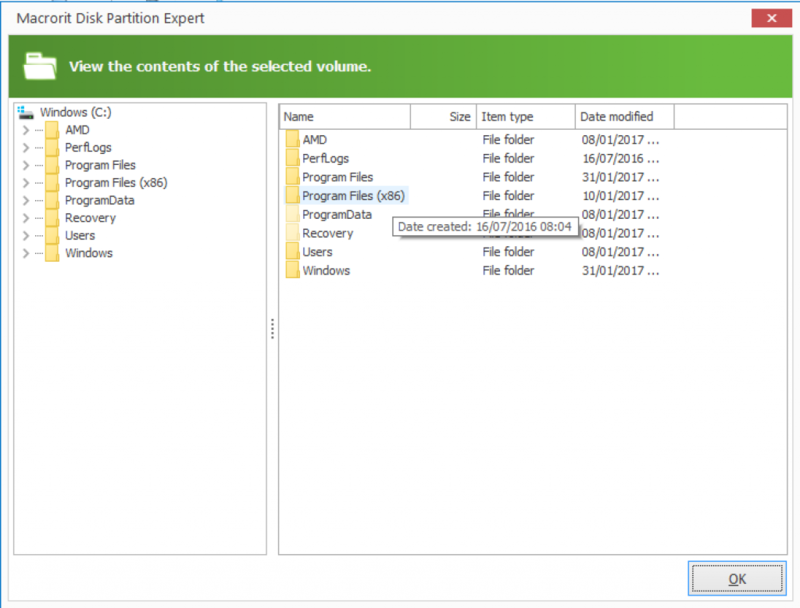 Fortunately, an advanced disk partition tool like Macrorit Partition Expert Pro can come handy in this case because it lets you extend partitions, without having to delete drives. Macrorit Partition Expert Pro features Partition Magic Pro technology that provides speedy data transfers and technology specifically designed to protect your data. The program allows you to extend disk partitions, create additional partitions, or to copy a large amount of data from one drive to another one. Thanks to its exclusive data moving algorithm, you can have peace of mind as you won’t lose data. When the drives are divided into smaller partitions, you are be able to manage the disk space on your system more effectively. Macrorit Disk Partition Expert Pro facilitates this task and it is compatible with multiple versions of Windows including Windows 10, Windows 8, Windows 7 and Windows Vista. One of the main advantages of using Macrorit is that it offers a user-friendly interface that allows you to access all the options available without any issue. The menu is well-organized, enabling you to find the function that you need instantly. While the software focuses on Partition, it offer more than that. 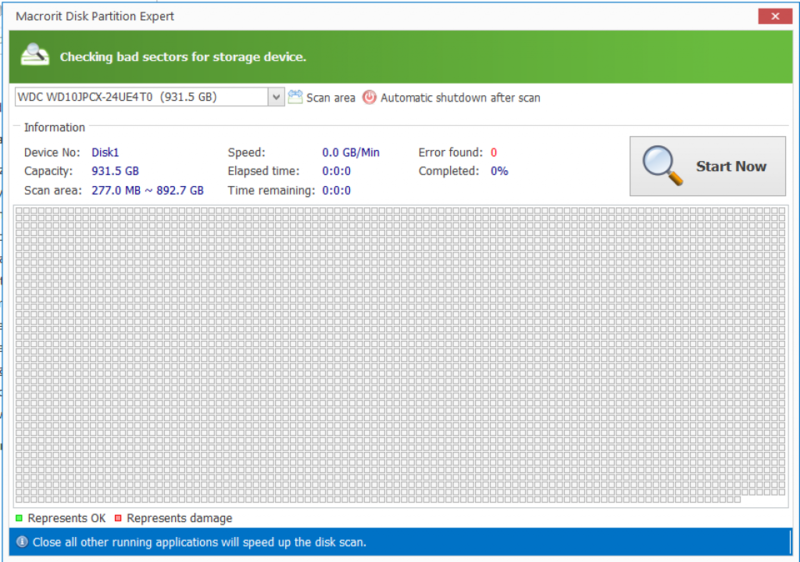 You can defragment the disk, clean it, browse the contents of each partition without leaving the software. If needed, you can also delete data from a drive completely. Since Macrorit Partition Expert aims to offer convenience, it is not surprising to see that it can manage multiple drives at the same time. This will be very helpful, particularly for users who have a lot of drives divided into several partitions. Macrorit Partition Expert supports a good selection of features that go beyond the basic functionality. The Disk Management options allow you to create, extend, shrink, resize, move, format, or delete partitions. The software can carry these operations incredibly fast. The data moving algorithm takes care of transferring partitions at great speed. The protection technology uses to safeguard your data also ensures that you don’t lose anything when the partitions are resized. It is possible to convert MBR disk format to GPT format very quickly and without any issues. The drives can be formatted from FAT32 to NTFS or the other way around. You can also enter the size manually, or choose the amount of space that you want left after resizing a partition. Before applying any change made, you can see the effects virtually. Once you are happy with them, you can click on Commit to save and apply the changes selected. In Windows Vista and above, you will be able to extend the system partition without rebooting. You can also wipe unallocated space, convert primary partition to Logical partition and even migrate the whole Operating System to a new hard drive. Macrorit Disk Partition also includes a hard drive testing too that will allow you to perform a surface test to verify if there are bad sectors. There is a portable version available that saves you installing the software on the computer. Macrorit Partition Expert Pro offers a 30-days single license for $9.99, which is a good option if you only need to use the software for a limited period of time. The full edition is available for $29.99 and it supports one computer. There is also a Pro + Life-Time edition with free upgrades, currently available for $39.95. All these versions offer the same functionality, but it is advisable to get the full edition with lifetime updates to ensure that you get the most out of the software. There is also a free edition that allows you to extend partitions with amazing speed and without losing data. Macrorit is the easiest way to manage disk partitions and the well-organized menu allows you to find all the features and settings without complications. Apart from its partition functionality, Macrorit Disk Partition Expert Pro offers additional options. The software is designed to keep your data safe, so you won’t need to worry about losing important information. If you want a solid combination of efficiency, security and ease of use, Macrorit Disk Partition is a solution that meets all the criteria.